Dr. Michael Nasra, a former Associate Principal of Kingwood High, has been named Principal of Kingwood High School. Dr. Nasra returns to Humble ISD after serving the past four years as Principal of Keller High School in Keller ISD. 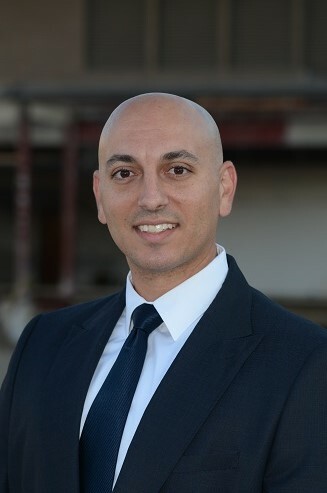 Dr. Nasra’s 16 years of experience also includes serving as Associate Principal for Atascocita High School, Assistant Principal at Ross Sterling Middle School and at Humble High School, and Math Teacher and Coach at Humble Middle School. Dr. Nasra earned his bachelor’s degree at Southwestern University and his master’s and doctoral degrees at the University of Houston. He also was chosen for Rice University’s Rice Education Entrepreneurship Program (REEP) Business Fellowship for School Leaders. We look forward to seeing students back in August for an exciting new school year! Thank you for your continuing support of students. 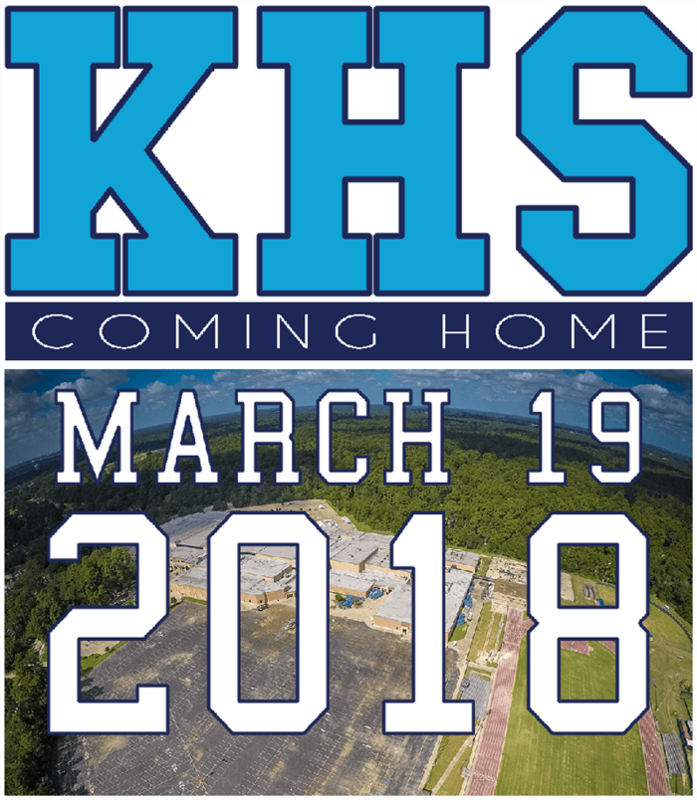 KHS Reopens March 19, 2018! 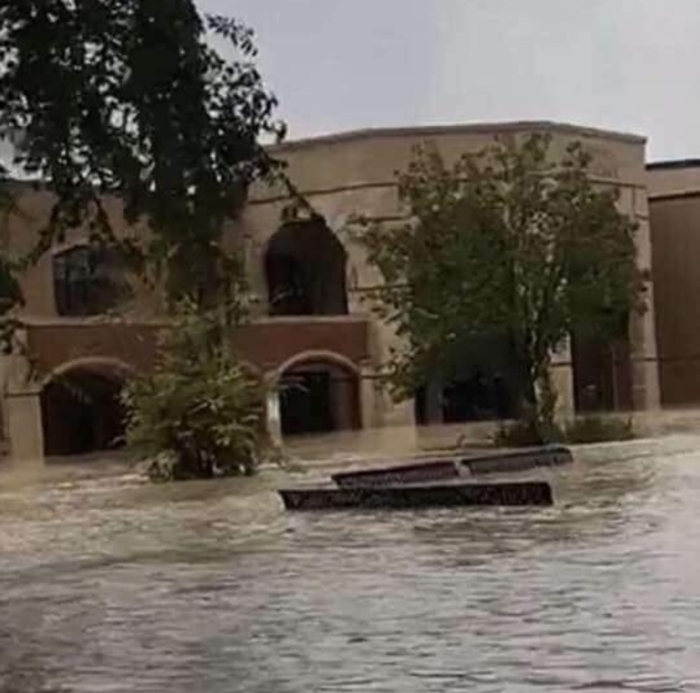 Read a Houston Chronicle article about the KHS community returning home. Humble ISD Superintendent Elizabeth Fagen presented four options to the school board at its regular meeting on November 14, 2017. Read a Kingwood Observer article about these options and the administration's recommendation here. Related: read about a November 15 visit by U.S. Secretary of Education Betsy DeVos here. Over a few days in late August 2017, Hurricane Harvey dropped an unprecedented 40-50 inches of rain over the Houston area. The San Jacinto River rose to record-breaking levels, exceeding even the 1994 floods. 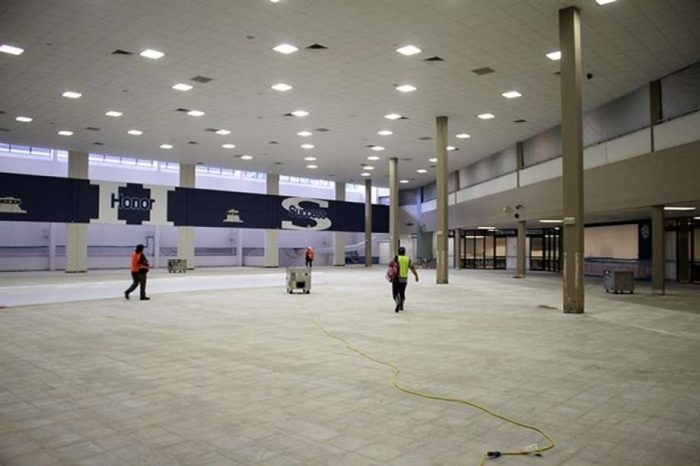 The entire KHS campus sustained extensive damage. Visit our Hurricane Harvey page for up-to-date information and ways to help. KHS '86 graduate Lisa Huddleston McSwain realized her long-time dream when on April 12, 2017 she opened Sanké Hairdressers in Kingwood's Town Center. 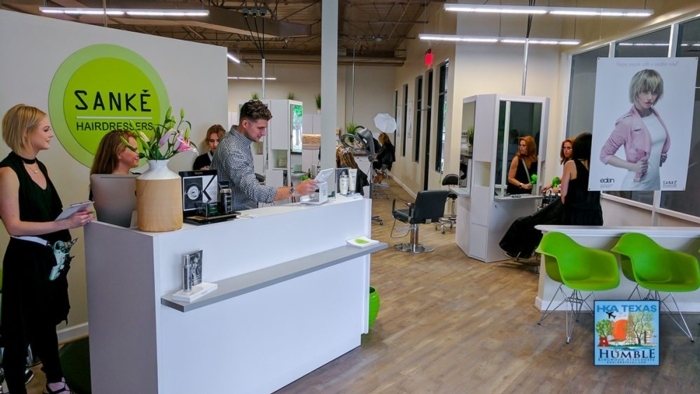 The salon, with its sleek, modern feel, is located between Kingwood Bagel and Fedex Office. Lisa isn't the only one celebrating; her many dedicated clients are excited to visit Lisa and her fellow stylists at Sanké! 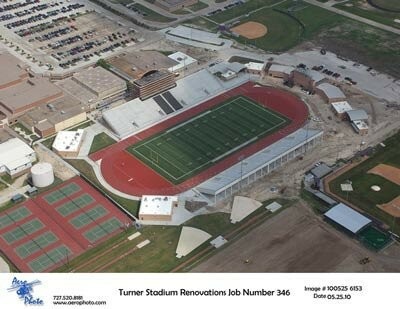 Read an article and see more pictures as published by the Humble Kingwood Atascocita Texas News site here. "KINGWOOD ALUMNI" t-shirts are available for purchase online! Pictured here sporting his alumni tee (and Mustang spirit!) 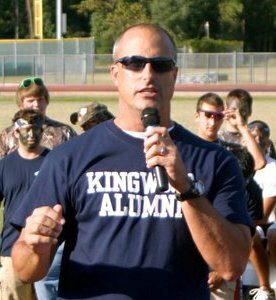 is '84 grad and KHS staff member Mark Krimm, speaking to a crowd on campus after the Oct. 2010 Mustang Pride parade. Photo courtesy Mindy Gardner McQueen ('87). Wish you were there! Visit the gallery to view parade-day photos. A few of the dozens of KHS alumni on staff at KHS! Many were present to serve as grand marshals of the Mustang Pride Parade in October of 2010. The parade was a first step in an effort by organizers to revive the school's homecoming parade tradition. The practice was halted some years before due to rising liability insurance costs and other factors. 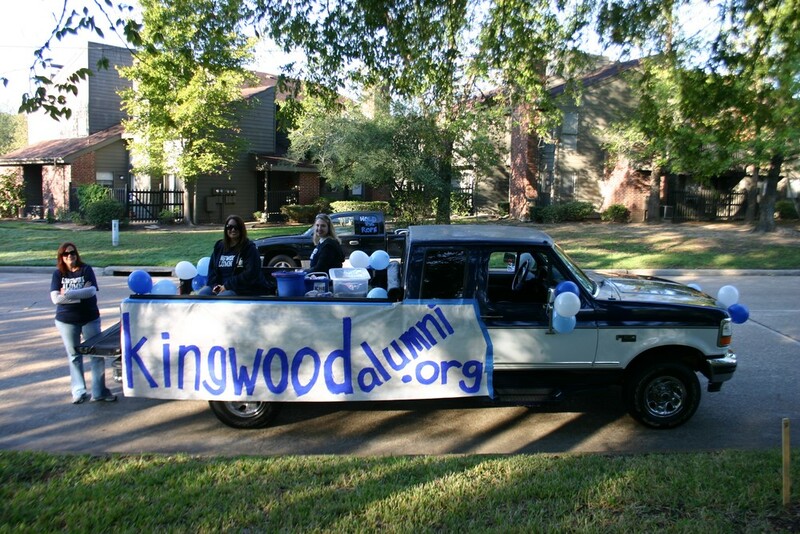 Want your own "KINGWOOD ALUMNI" t-shirt? Visit the "Shop" tab to place your order! We had a GREAT time! 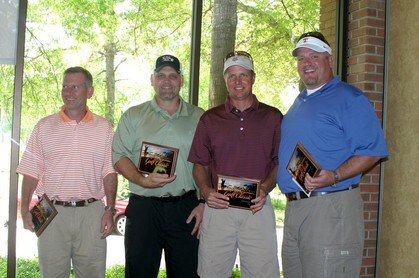 Many thanks to all sponsors and participants for a successful first-ever golf tournament fundraiser, benefiting the KHS Alumni scholarship fund. 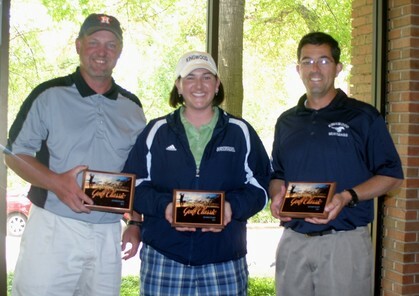 Website members can click here to view the online tournament-day gallery. Proceeds support youth scholarships, KHS Project Graduation and the Humble ISD Education Foundation. It's not the stadium you remember. It's better!